Several banks have been offering various easily-accessible loans for almost everything, ranging from a motorcycle to a house; but having many loans and credit cards from different banks can make life tricky. Having several loans or keeping several credit cards from different financial institutions makes it hard to ensure that EMIs for the loans are paid on time. To avoid any such situation, the best suggestion is debt consolidation. In simple words, debt consolidation can be described as an act of merging or mingling many loans or credit card liabilities into one loan. 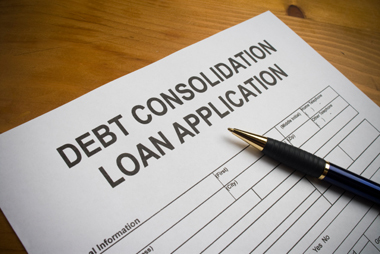 The act of debt consolidation involves taking out a new loan in order to pay off several other loans or debts. Taking a new loan is beneficial especially if it is available at a lower interest rate. In addition to providing simplicity of a single loan and a greater ease in making repayments, the new loan at a lower interest rate will also bring the burden of interest down. India banks offer loans against property. The lower rate of interest and longer tenure of repayment make these loans the ideal consolidating instrument.